Binalakshmi Nepram, an activist fighting for rights of women suffering due to violence in Northeast India is one of the two winners of the annual Reach All Women in WAR (RAW in WAR) Anna Politkovskaya Award. She would be sharing this award with Svetlana Alexievich, who is an investigative journalist from Belarus. Binalakshmi is the second Indian after Gauri Lankesh, the late journalist to receive this award. Gauri had received this award in 2017. According to NDTV, Binalakshmi is the co-founder of India’s first civil society organisation to work on disarmament and to oppose growing militarisation, the Control Arms Foundation of India (CAFI). 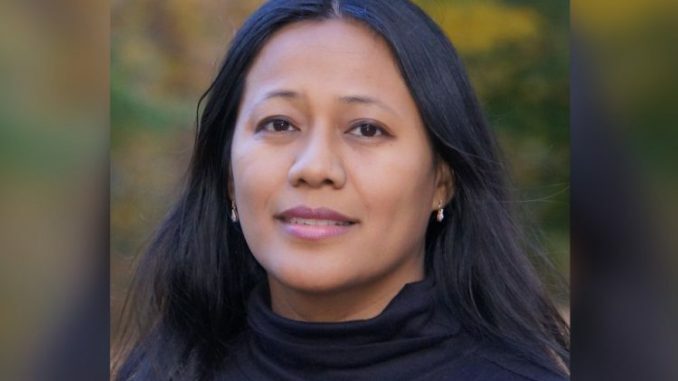 She also founded the Manipur Women Gun Survivors Network. This organisation has helped more than 20,000 women deal with decades of armed conflicts and ethnic violence in the Manipur on the border with Myanmar. Anna Politkovskaya was a Russian journalist and activist. She was murdered in 2006, two days before she was to expose Chechnyan Prime Minister, according to Independent. The 48-year-old journalist was assassinated in the lobby of her apartment in Moscow. In her memory, the Reach All Women presents Anna Politkovskaya award every year to the activists who stand up for women rights at personal risk. In the eleven years of existence, the award had been received by only two Indians, Nepram being the second one. Binalakshmi Nepram has received other awards for her work as well. One of them being, Sean MacBride Peace Prize. The award is given by a Geneva-based organisation called the International Peace Bureau. Another such award won by Binalakshmi Nepram is the CNN-IBN Real Heroes award in 2011. According to a report by E-Pao, Nepram was among the 24 activists to receive the award in Mumbai in the women welfare category.